It seems there are just no limits to what you can use the Microsoft Kinect to do in the health and medical fields nowadays, from bringing up images for doctors whilst on the operating table to possibly even detecting early signs of autism amongst toddlers. Last week we came across another innovative use, which allows stroke victims to send emails and interact online through a series of simple gestures. A blogger called Chad Ruble has created a new interface to allow his mother Lindy to interact online by using a system based on selecting emoticons and then the level of intensity of each emotion. Lindy experienced a stroke twelve years ago and has since had trouble writing and even using a keyboard, so utilising Kinect technology she can send emails without the need to write, type or even speak at the computer if she doesn’t want to. 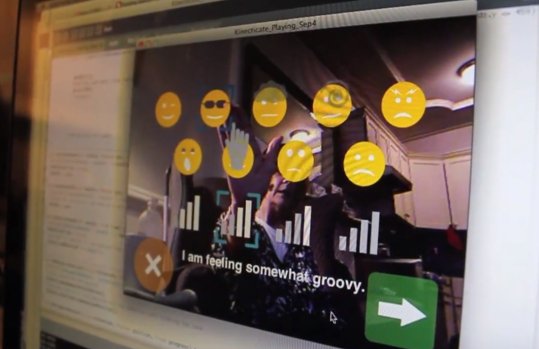 This one example is clever and clearly very special for Lindy, but we’re really excited to see how the Kinect could be used to allow stroke victims or less abled bodied individuals to communicate in even more advanced ways in the future. Check out Ruble’s blog post about the system over at Dad Hoc.